Long-time futurist and artificial intelligence (AI) researcher Ray Kurzweil (bio, wikipedia) has been appointed Director of Engineering at Google. Kurzweil was reportedly impressed by the remarkable progress Google has made in a branch of AI called deep learning. Deep learning is the new buzzword for hierarchical machine learning techniques, that learn both low-level features (such as edges and corners in a vision application) and higher-level concepts (such as kittens or faces). Buzzword or not, deep-learning techniques have produced some impressive results in recent years. For example, the latest version of Android OS uses these techniques to dramatically improve the speech recognition on its phones, to a level comparable to Apple’s Siri — except that while Siri sends your voice over the network to be interpreted by big servers in the cloud, Android can do it locally on the device (at least in the case of “voice typing”). That brings me to the reason why all this is relevant to robotics. While it seems like a lot of the progress in AI lately is being done with supercomputers (like IBM’s Watson) or truly giant networks of servers (Google), that’s only the beginning. Throwing computing power at an AI problem certainly helps, but once the techniques are worked out, most of them can be scaled back down to the level where they will run on smaller, robot-sized computers. Of course, there are also those who think “cloud robotics” is the future — that is, robots with very little intelligence onboard, which instead rely on server-side processing. 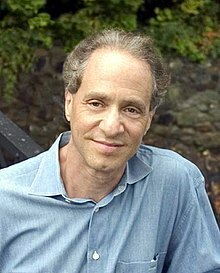 In either case, when Kurzweil’s drive to create human-level AI is combined with Google’s deep pockets, army of computer scientists, and massive computing infrastructure, I predict some exciting advances in the next few years. Stay tuned!